A memorial mass is scheduled for 10 a.m. Monday, Jan. 29, at Our Lady of Grace Catholic Church for Antonia Grado Gallegos of Artesia. Gallegos, 76, passed away Wednesday, Jan. 24, 2018, at San Pedro Nursing and Rehabilitation Center. Fr. V.J. will officiate the services. Cremation has taken place under the direction of Terpening & Son Mortuary. A rosary will be recited at 9:30 a.m. Monday at Our Lady of Grace. Antonia was born May 10, 1941, in Redford, Texas, to Trinidad and Fernanda (Bejarano) Grado. She was a longtime Artesia resident after moving here from Texas as a little girl. 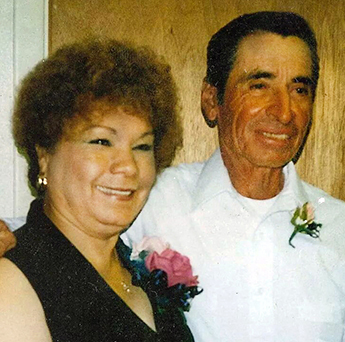 On Oct. 30, 1958, she married Benjamin L. Gallegos in Artesia. Antonia was a member of Our Lady of Grace Catholic Church, and her job was being a “Mom.” In her spare time, she enjoyed music and dancing, and loved spending time with her family. Survivors include daughters Belia Hernandez and husband Alex of Avondale, Ariz., and Olga Galindo and husband Marcelino, and Nora Perez and husband Luis, both of Artesia; sons Benjamin Gallegos and Jesse Gallegos, both of Artesia; sisters Elva Reza of Avondale and Nieves Ruiz of Artesia; 18 grandchildren; and 28 great-grandchildren. She was preceded in death by her husband, Benjamin Gallegos, on Dec. 1, 2011; her parents; daughter Balbina Fernandez; sister Luz Ruiz; and brother Trinidad Grado.